The history of the companies emblazoned on this building is as murky as the canal flowing past outside. T.C. Whittle was a construction company responsible, from the 1940s to the 1960s, for New Selborne Chambers on Phillip Street in the CBD, the St Margaret’s Hospital for Women in Surry Hills, and the Cameron office complex in Belconnen Town Centre (demolished 2006) among others. But even that illustrious resume didn’t stop T. C. Whittle from ending up delisted from the ASX in 1980, dodgily changing its name to TCW Investments, and finally, being deregistered completely by ASIC in 2005. 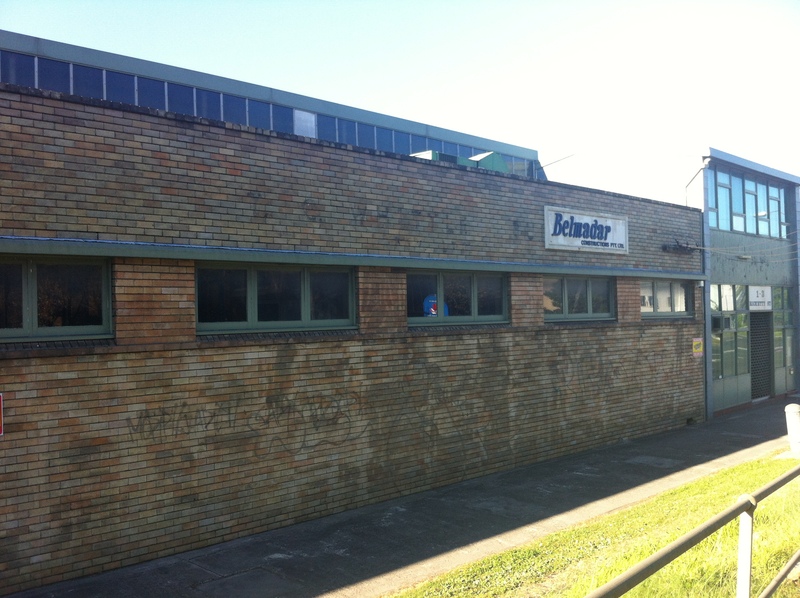 Belmadar, on the other hand, was known mostly for roadworks, and we all know how well done those are in Sydney. It’s no surprise then that Belmadar is gone, and the current tenants are an events production group called Licorice Productions. It’s one of a number of new companies moving into the formerly industrial Mascot/Alexandria area to not feature heavy pollution as an output. This building in particular backs onto the Alexandra Canal, and while there immediately weren’t fish jumping happily from the water and dolphins waving hello with their flippers, there may still be hope for it yet.